Bobbin’s Nest Studio. Did you know that Bobbin’s Nest comes out with an exclusive new down-loadable pattern every month? No, well they alternate between knitting, sewing and crochet patterns, to try and please all different sorts of fiber crafters. I worked 2 years at the bricks and mortar store and was very sad when it closed it’s doors on Jan 31st of this year. But, I still get a little taste of the old B&M place every month, since I now design and write up the patterns for the online store. 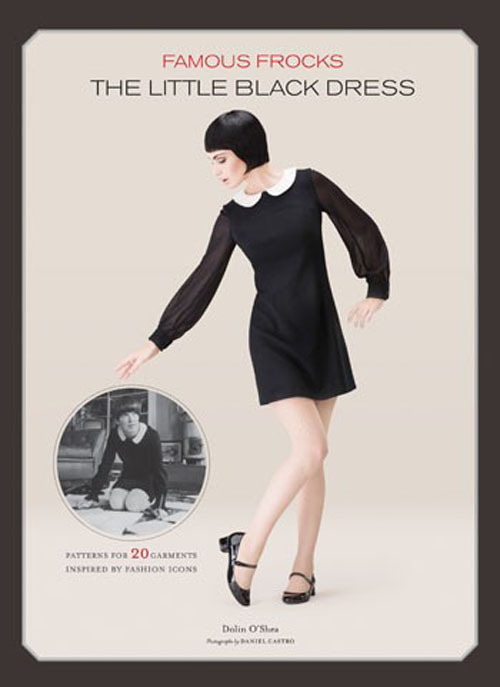 Before the store closed all the employees helped with the designing of each pattern, once the store closed I am the sole designer and writer of Bobbin’s Nest patterns. Check out all the available patterns, there are some great ones to be had. 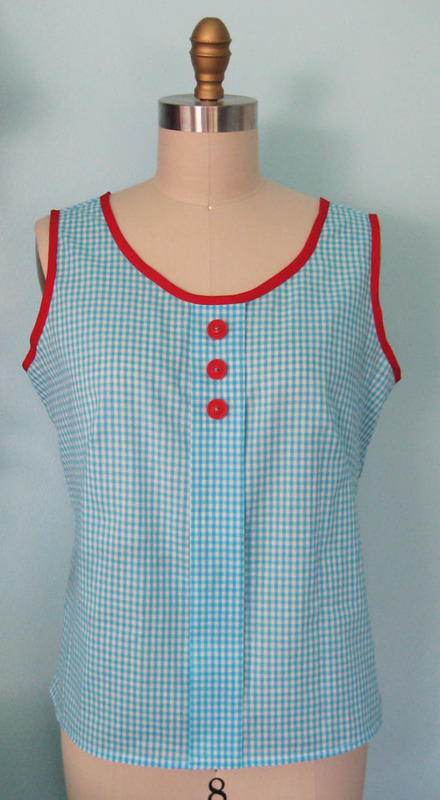 The newest pattern was released yesterday and is called the Luncheonette Apron. It is a very simple project, with great results. 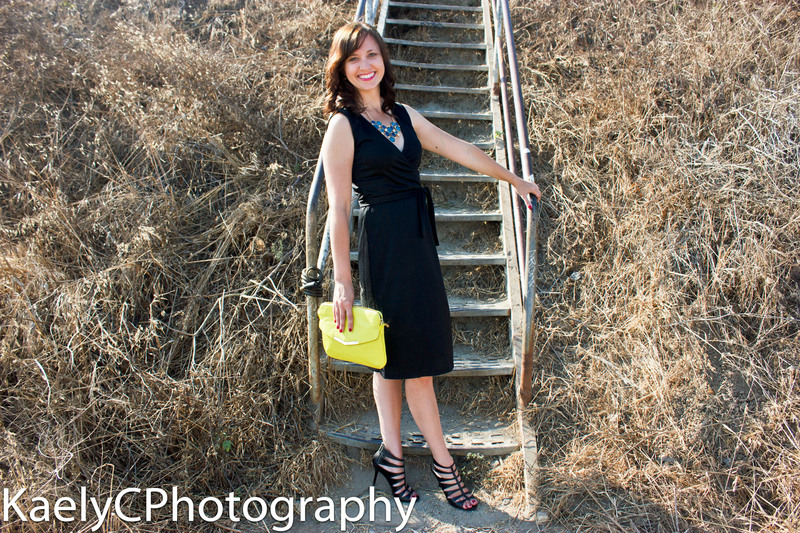 And yes, it is reversible! 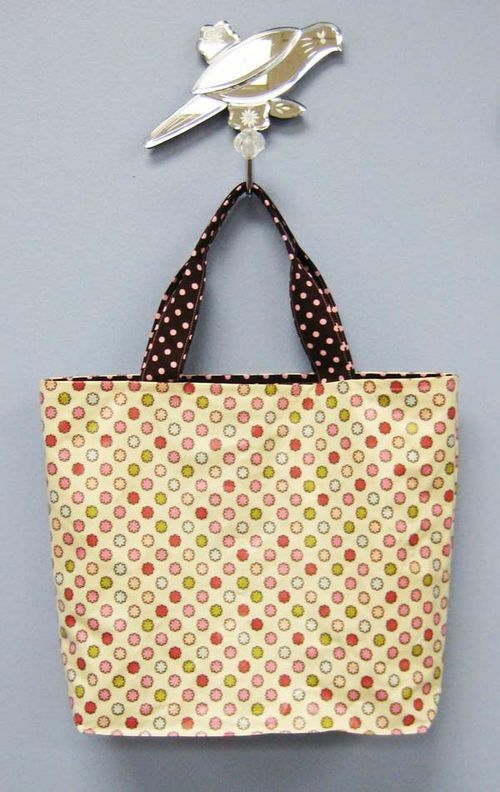 Another fun sewing pattern is the Oil Cloth Tote. This project used to be a class that I taught at the store as sort of an intro to working with oil cloth or laminated cotton. 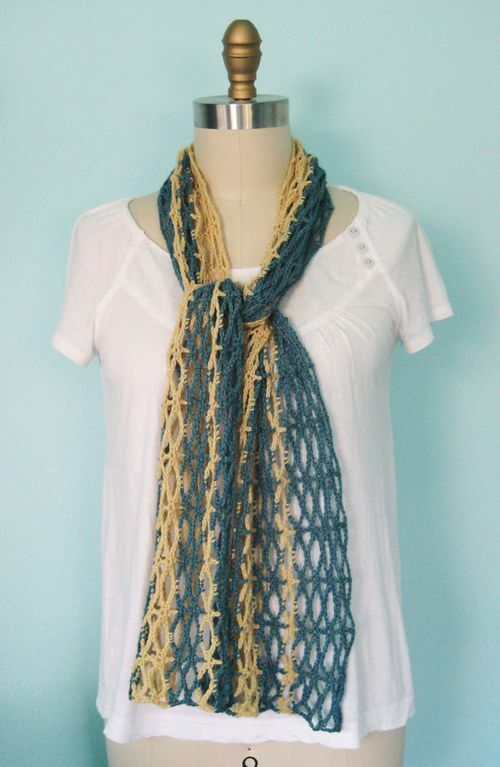 It was a popular class and now the pattern is available for purchase. Here is a quick crochet pattern that can be made in an evening or two, the Silken Straw Necklace. I also noticed that this yarn was on sale right now in the online store (there are still many different colors available). 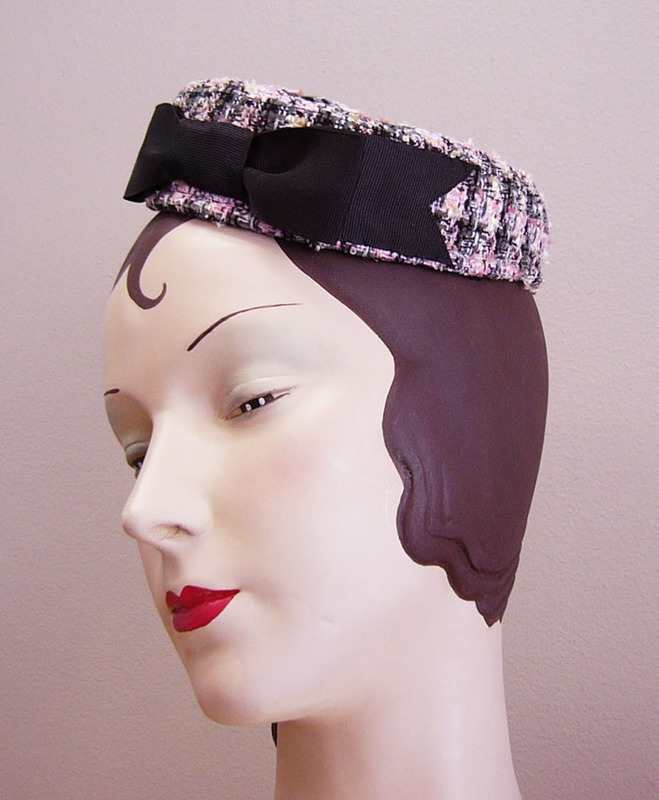 Then there is one of my favorites, The Film Noir Chapeau pattern. 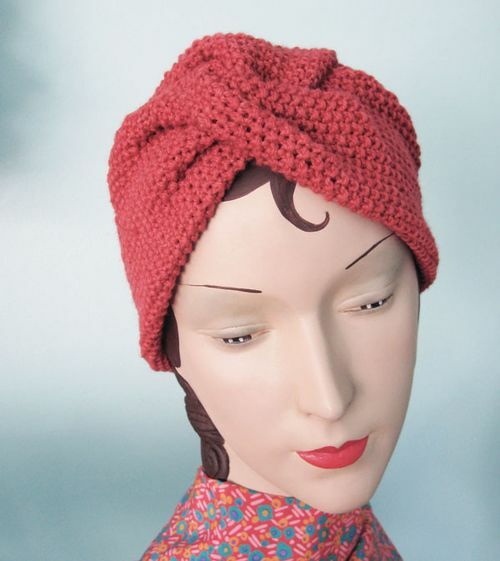 It is a seed stitch turban style hat, that is oh so glamorous. This sample was made from Sincere Sheeps’ Luminous yarn, which was a treat to work with. 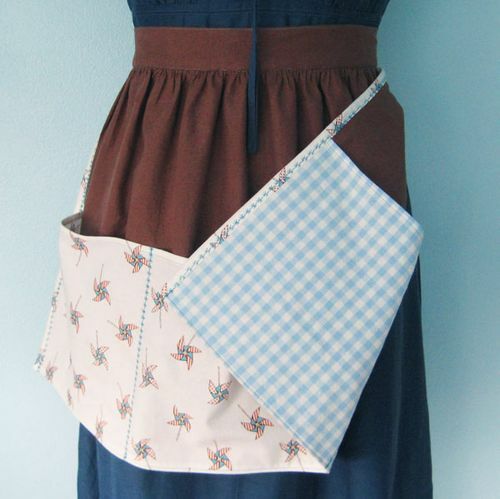 Check back to my blog this weekend for my scrappy version of the Luncheonette Apron. 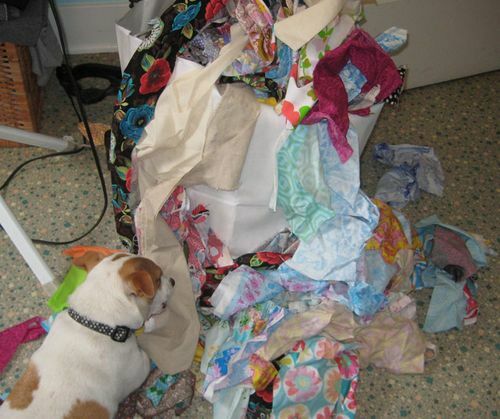 I have a serious issue with keeping fabric scraps and want to start using them up in projects. So I will be posting on my blog the projects that I make using these scraps. 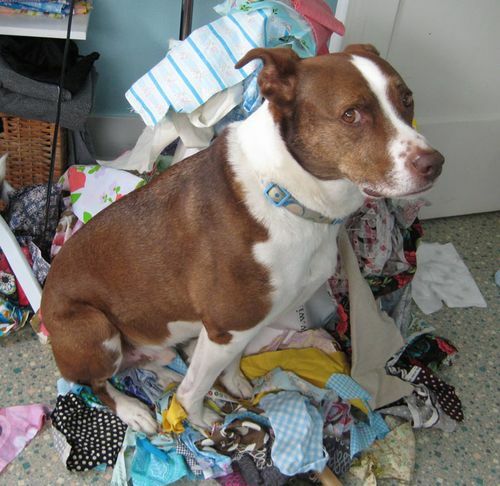 Below you can see my “assistants” hard at work “sorting” or um, sitting on my fabric scraps. Above is Butternut really concentrating on finding his chew toy, that was somewhere within the massive scrap pile. Hi! I love the Film Noir Chapeau knitting pattern, but it looks like the link is dead. Could you share the pattern or do you have any suggestions about how to obtain it? Many thanks!